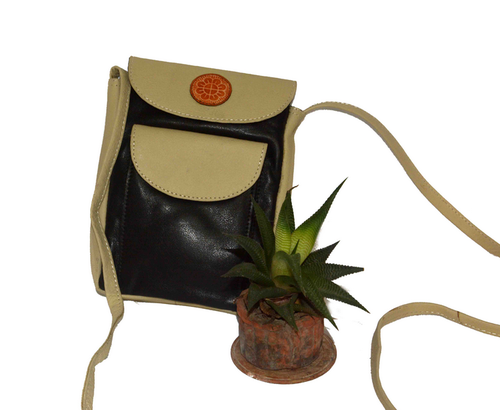 Handcrafted leather shoulder bag for ladies with beautiful embossed designs on it. Suitable for any occasion; creates distinctive style statement. Can be a good gift option as well. Beautifully embossed design on leather to enhance the look. Make your own style statement. Separate compartments and pockets available to organize. Normal delivery: 7-15 days. Shipping charges free for purchase above Rs.1000. Replacement will be done only in case damage in transit/other manufacturing defects.